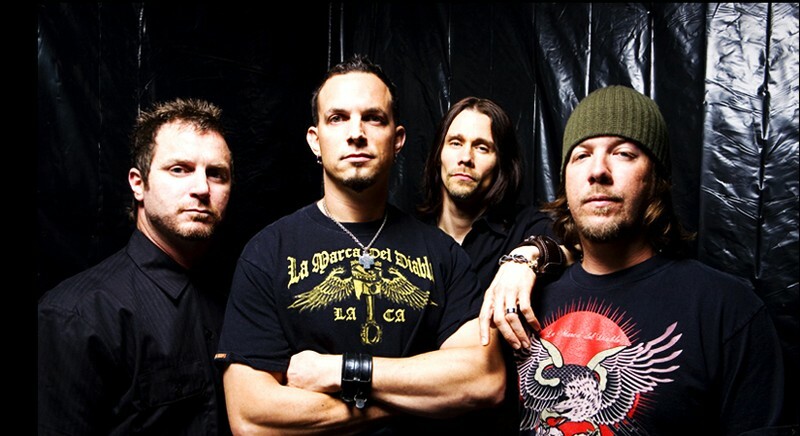 Alter Bridge is an American rock band that was formed in 2004 in Orlando, Florida by lead guitarist Mark Tremonti, bassist Brian Marshall, and drummer Scott Phillips, who are all also members of Creed. Lead vocalist and rhythm guitarist Myles Kennedy, formerly of The Mayfield Four and the touring frontman of Slash's current solo project, joined shortly after the band's formation. Tremonti named the group after an actual bridge that used to be located in Detroit, Michigan near his former home on Alter Road. Despite Creed's multi-platinum success, Alter Bridge arose with only gold status with their first studio album, One Day Remains, which was released on Wind-up Records in August 2004 to generally mixed reviews. After the band's first tour, they dropped their contract with Wind-up Records in 2006 and signed with Universal Republic, releasing their sophomore album, Blackbird, which was positively received by critics, in October 2007. Alter Bridge spent the next two years touring and working on other projects, and in 2010, the band reconvened to work on its third album, AB III, which received critical acclaim and was released in October 2010 on Roadrunner Records, and later on the band's own label via EMI in North America in November 2010. In January 2011, Alter Bridge's first live album and concert film, Live from Amsterdam, was released. Originally released exclusively on Amazon.com in August 2009, it was met with two years of delays before finally being released in stores.